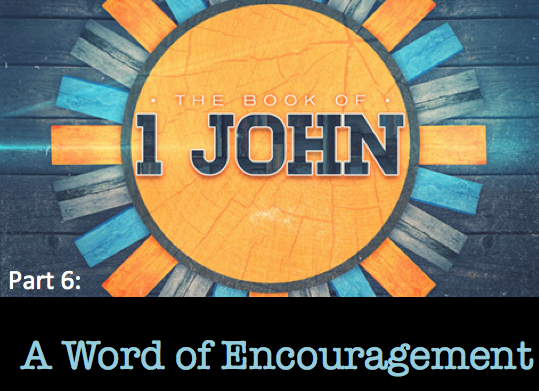 After three guest speakers in four weeks, we are ready to get back into our study of 1 John with renewed vigor. John has provided some challenging thoughts for us to ponder, and this week, he will provide a word of encouragement to all who believe. To prepare, read 1 John 2:12-14. As you ponder these words, try to discover who John is talking to and what he is saying. I believe these are incredibly encouraging words wherever you are in your Christian walk. Thanks to everyone who brought food for our potluck lunch last week. It was a great day as we hosted Kimberly Logsdon and her husband Barry from CareNet and several of our friends from the Hilltop Gospel Church at Russell House. We will be taking the month of August off from our Wednesday night Bible Study.